Native to Asia, the Bornean orangutan is native to the island of Borneo, the third largest island in the world. They are considered endangered due to threats caused by deforestation, palm oil plantations, and hunting. 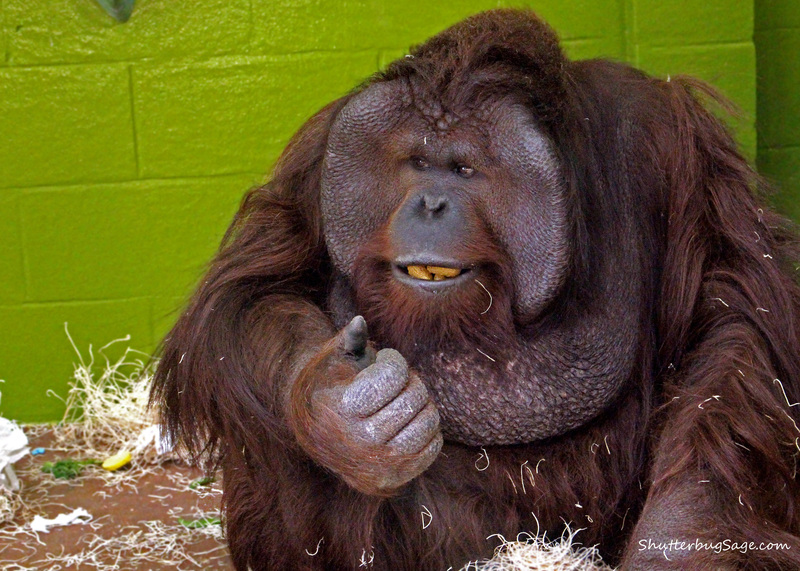 Like all great apes, Bornean orangutans are highly intelligent and 97% of their DNA is the same as a human’s. This guy was busy playing with his food pellets while his female companion seemed to roll her eyes at his behavior.